Savings accounts might seem like one of the boring, run-of-the-mill accounts you can have. Oftentimes people just stick with the savings account they were offered in conjunction with a transaction account, but in fact, savings accounts are an essential part of healthy financial habits. 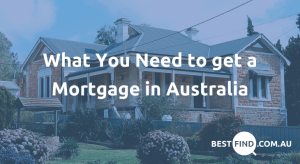 A quarter of Australians have less than $1,000 in cash savings, which means that a quarter of Australians are one accident away from financial trouble. Savings accounts are essential to ensure you’re ready when to cover unexpected expenses like medical or dental work, unavoidable travel, car troubles, or pricey home repairs. 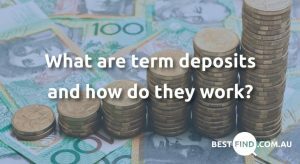 Savings accounts are different than other accounts that hold your money in return for interest (like term deposits) because the investment is liquid, meaning that you can withdraw the money at any time, which is why they are so handy for emergency situations. Even if you have a great transaction account at a bank you love, it pays to shop around to see what other financial institutions are offering in terms of fees, interest rates, minimum balances, and bonuses before settling on one. All of these perks and fine print can vary wildly from bank to bank and drastically change the ultimate value of your savings account. Some banks will require a monthly charge just for having the account open while other banks have little to no fees. It’s easy to feel like you’re in the weeds when trying to compare all of the competing offers, but using comparison sites like Best Find can help maximise the value of your savings account. 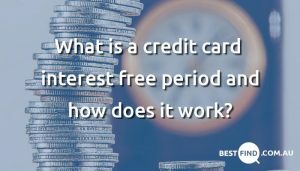 Some financial institutions will offer sign-up bonuses with requirements that need to be met in the first month or three months of use, generally a total dollar value that needs to be deposited and then not removed for a set period of time. But it’s important to know yourself and your habits. How hands on are you willing to be with your savings account? If you just want to set it and forget it, choosing a savings account with a great sign-up bonus and then a weak interest rate might not be a better choice than choosing a savings account without a flashy bonus but has been more stable historically. When bonus hunting, it’s important to find out how long the honeymoon rate lasts, what the base or variable rate is once the honeymoon period runs out, and if there’s a cap on how much you can earn at bonus rates. This one is pretty self-explanatory. You’ll want to look for savings accounts that don’t have regular or high fees associated with them because every fee nibbles away at what you’re putting into savings and the old adage is true – a penny saved is a penny earned. Keep an eye out for savings accounts that offer compound interest – that is, will pay interest on interest already earned. It’s a great way to get extra worth out of a savings account without any effort on your party. Compound interest can be especially powerful for those under 30 looking to their futures, but it can be worthwhile to look for at any age. Some financial institutions will require that you deposit and keep a certain amount of funds within your savings account at all times. If that amount drops below the minimum balance requirements, you’ll forego the high interest earning potential. When comparing savings accounts, it’s important to be honest with yourself about how much money you can easily leave in a savings account and then look for savings accounts with minimum deposit requirements that you can afford. The Australian Government will guarantee up to $250,000 per person per financial institution. That means that if anything happens to a financial institution with which you bank, the government will reimburse your money. For example, if you deposit $250,000 with a bank and then another $250,000 with a credit union, the government will guarantee the total $500,000. However, if you deposit $500,000 with a bank, the government will only guarantee up to $250,000. Once you’ve picked your savings account, you’re all set. Or are you? It depends on how hands on you want to be, but it pays to not stick with the same savings account and financial institution. From racking up sign-up bonuses to switching to financial institutions that are offering higher interest rates, it pays (literally) to pursue your options every 6 to 12 months to see if your money would benefit better to be moved to another financial institution. After all that’s said and done, unless you’re moving your money from one savings account to the next, don’t touch it. Taking money out of your savings account should only be done for emergencies or for planned events like travel. Otherwise, withdrawing money from savings account can forego your attractive sign-up offers and high interest rates. Teaching your children how to save money, make interest, and appreciate financial responsibility is a great way that parents can set their children up for success later in life. There is no minimum age for which a child can apply for a children’s savings account, but it is important to know the rules for withholding taxes. You can learn more about taxes on a child’s savings account by going to Australian Taxation Office’s website. The best time to start a savings account is yesterday. There’s no replacement for starting a strong track record with creating a savings account and regularly depositing additional funds into it. Even small increments add up over time so it is important to not discount the value of saving a small portion of your income, if possible. Setting a realistic goal can be a great way to get motivated and stay motivated. Another option is to set up an automatic transfer so that some of your money is whisked away into a savings account each payday so it’s not even something you need to worry about. Having a health savings account of at least six month’s pay is a great way to have peace of mind that should something unexpected crop up, it can be dealt with. The next time you step into your financial institution, consider asking about their savings account options.